To make one very generous serving of this dish, I measured out 1/2 cup of quinoa the night before, put it into a container and filled it with water. Let the quinoa soak overnight. 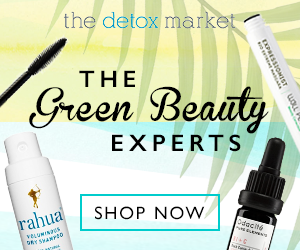 This will ensure removal of acids, which allows your body optimum absorption of nutrients. When you’re ready to prepare the dish, drain and rinse your quinoa. 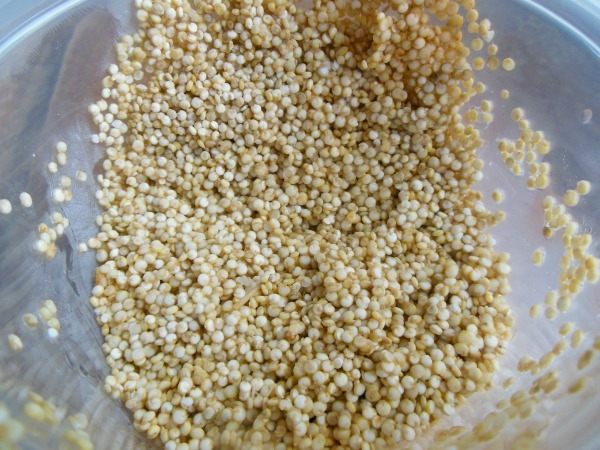 Bring 1 cup of water to a boil and add the quinoa, turning down to a low medium setting. I love quinoa because it’s naturally gluten free and high in fiber and protein. It’s a nice alternative to rice and other grains. 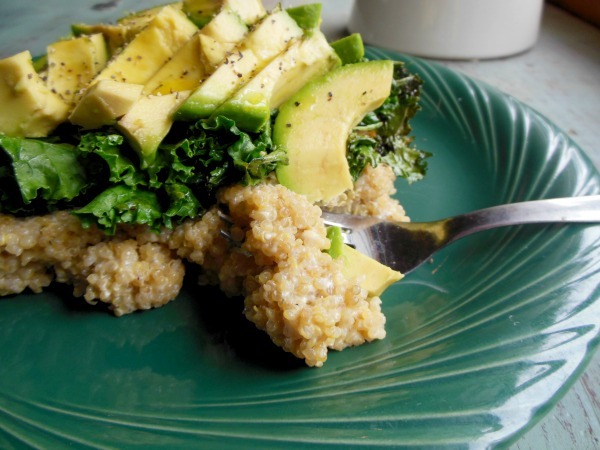 Quinoa also contains B vitamins, iron, magnesium, phosphorus, calcium, potassium, and Vitamin E. Wow! 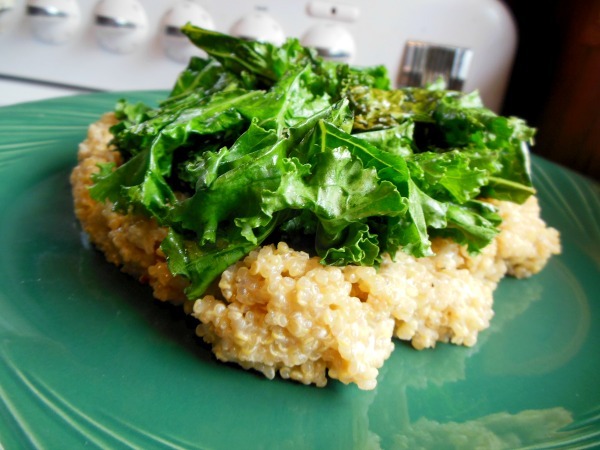 While the quinoa is cooking, you can rinse and prepare the kale. I used 4 large stems. 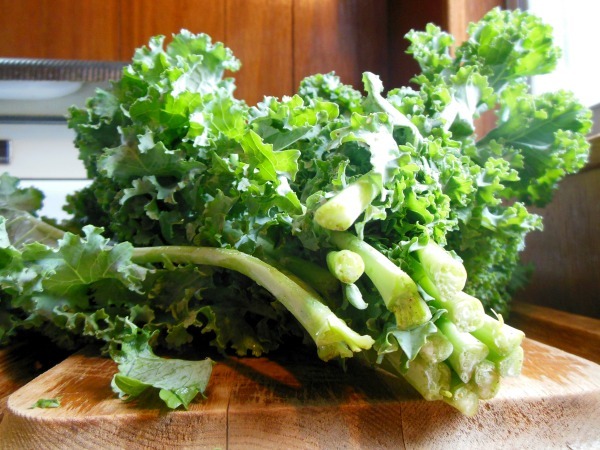 Kale is also a great source of fiber and protein, as well as folate and alpha-linoleic acid. After washing, I broke the kale into bite size pieces, avoiding the stem. 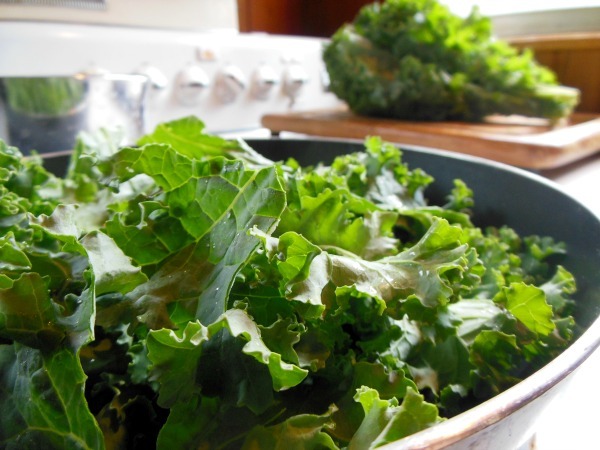 Use approximately 1 tbsp of extra virgin olive oil and saute the kale in it at a low setting. Be careful not to cook too long or the kale will burn. The quinoa will take about 20 minutes to cook. When all the water is absorbed, and the quinoa is light and fluffy, it’s done. Add in salt, pepper, and garlic powder to taste. The next step is my favorite – putting the cheesy in cheesy quinoa. I used Daiya’s Mozzarella Style Shreds. 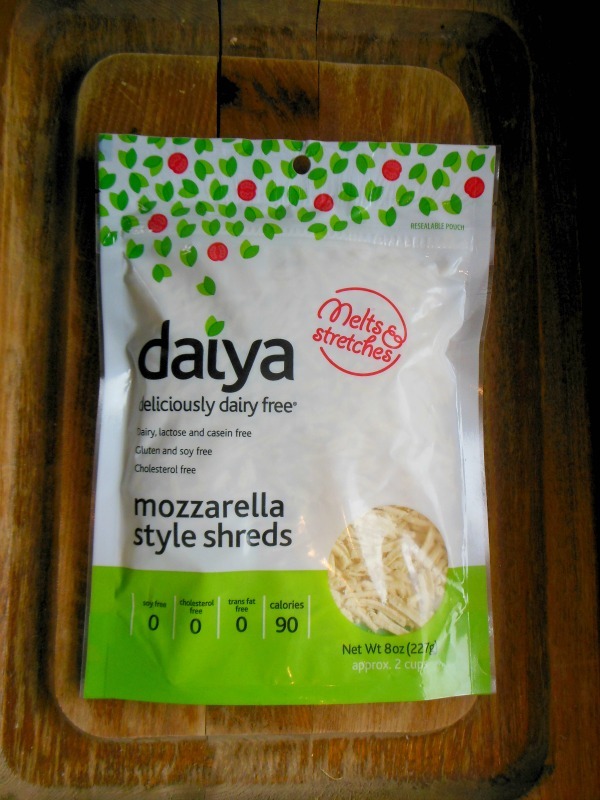 Daiya is my favorite vegan cheese. It tastes great and it’s perfect for cooking. 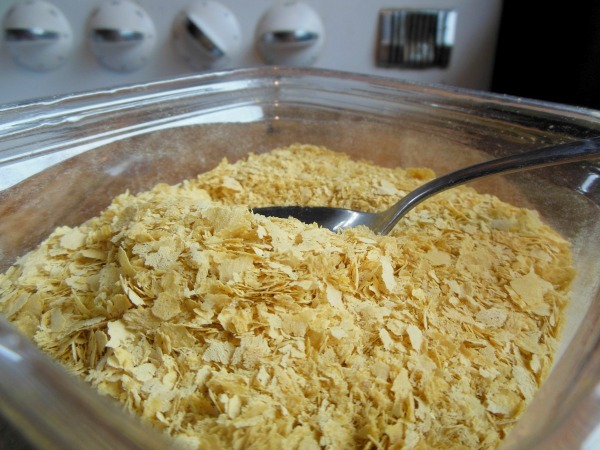 I also used nutritional yeast, which you can find in the bulk foods section of most natural foods stores. 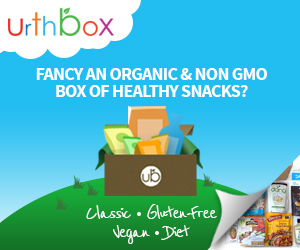 It’s chock full of the B-complex vitamins and it’s a bioavailable source of protein, containing all 18 amino acids. 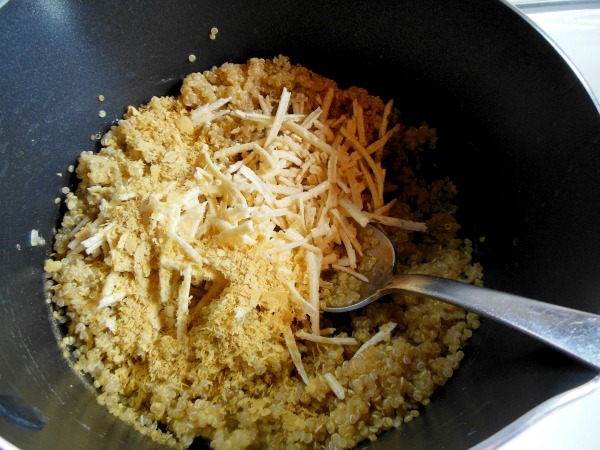 Measure out 1/4 cup of Daiya cheese shreds and 1/4 cup of nutritional yeast and add to the quinoa. Mix well until the cheese is melted. 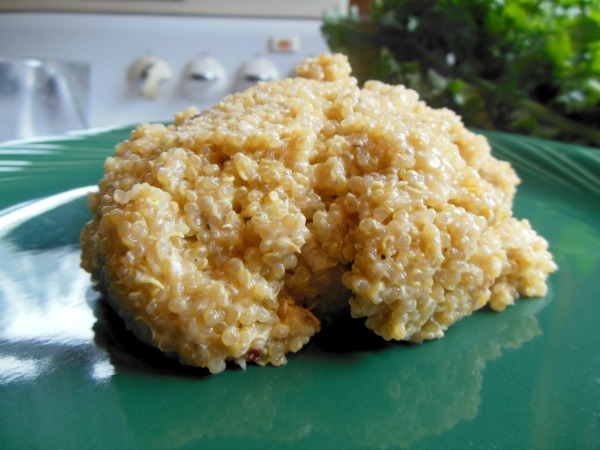 Spoon the cheesy quinoa onto a plate and flatten it a bit. Take your sauteed kale and pile it on top. 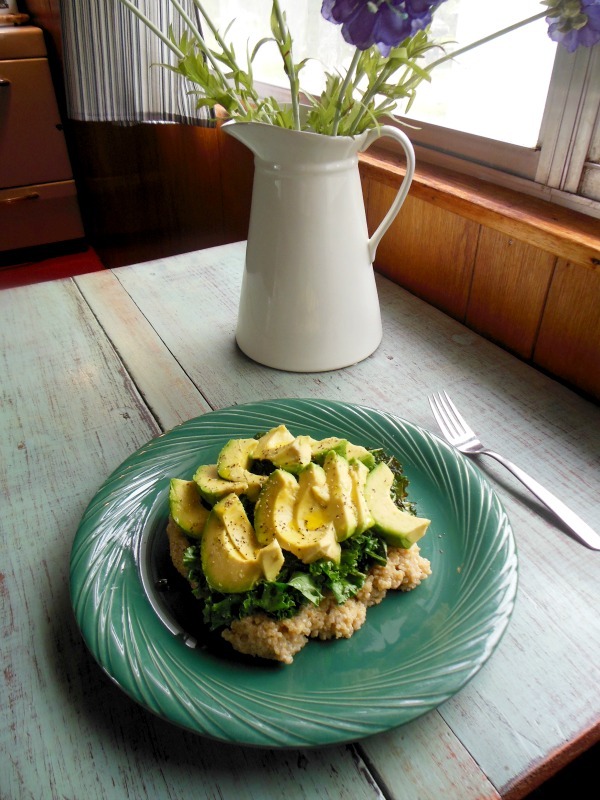 Slice up one large avocado and place the slices on top. 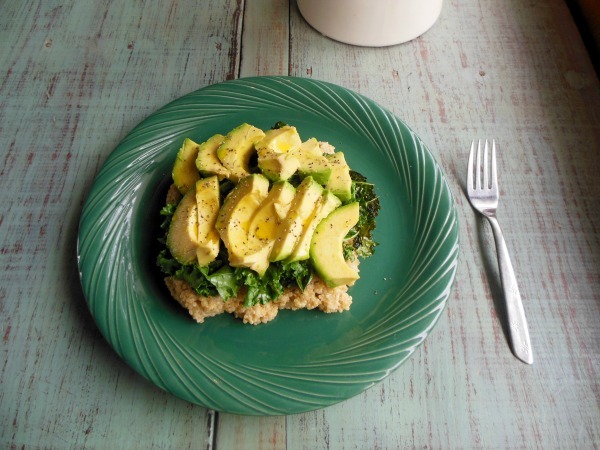 Avocado is loaded with healthy fats, fiber, and potassium. Drizzle some extra virgin olive oil over it and sprinkle a bit of pepper. That’s it! You’ve got a cheesy, pasta-like dish with creamy avocado and savory kale. 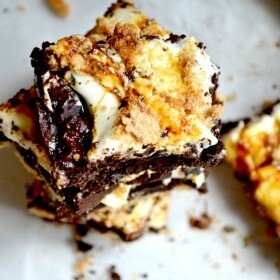 This fiber and protein filled recipe is perfect for the whole family. 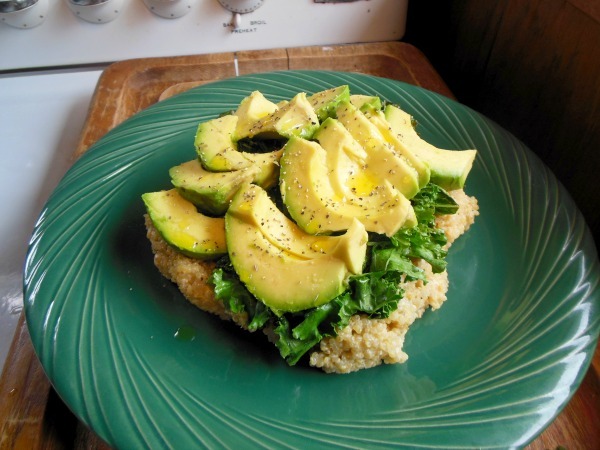 Not only is it easy to make and incredibly nutritious, but the cheesy quinoa is a yummy compliment to the sauteed kale and the creaminess of the avocado. 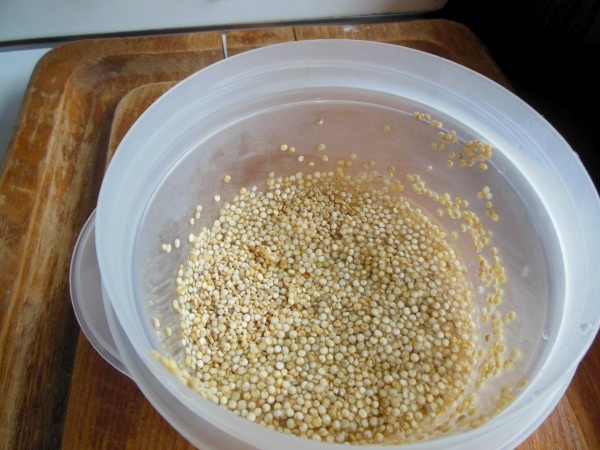 Soak 1/2 cup of quinoa in water the night before (or during the day if you plan on making this dish for dinner). When you're ready to cook, drain and rinse the quinoa. Bring 1 cup of water to a boil. Add the quinoa and bring the heat down to a low medium setting. It will take about 20 minutes to cook. While the quinoa is cooking, wash 4 four big pieces of kale and break into bite sized pieces, avoiding the stem. 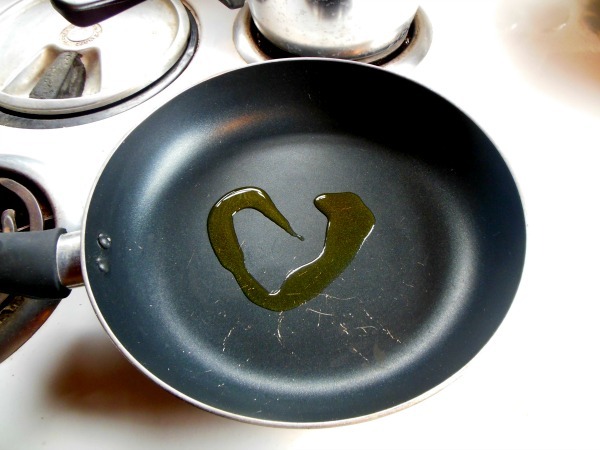 Heat 1 tbsp of extra virgin olive oil in a pan and saute the kale at a low setting until it's dark green and soft. 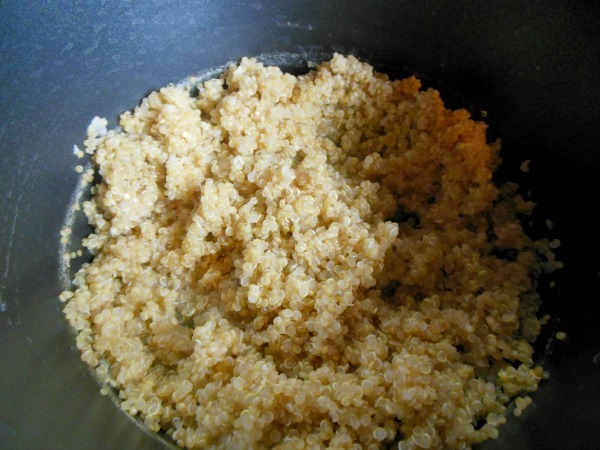 The quinoa is done once it's soft and fluffy and all the water is absorbed. Add salt, pepper, and garlic powder to taste. Measure out 1/4 cup of Daiya Mozzarella Style Shreds and 1/4 cup of nutritional yeast. Mix into the quinoa until the cheese is melted. Spoon the quinoa onto a plate and flatten it a bit. Pile the sauteed kale on top. 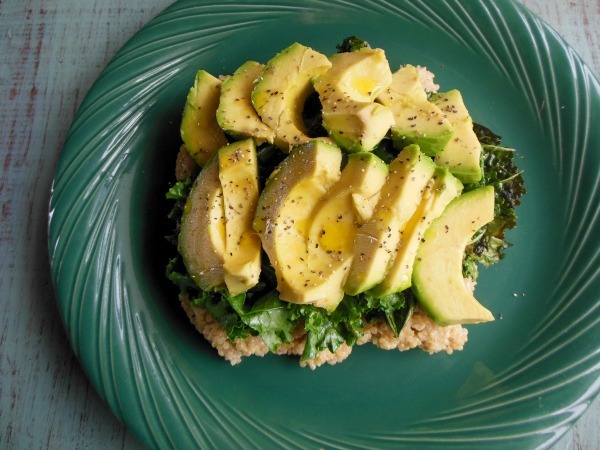 Slice up one large avocado and place the slices over the kale. Drizzle some olive oil and sprinkle pepper for the finishing touches! Double or triple the recipe depending on how many people you are feeding. Saute garlic and/or onions with the kale, add any other seasonings you like, and use more or less of the Daiya shreds and nutritional yeast to modify the cheesy flavor.